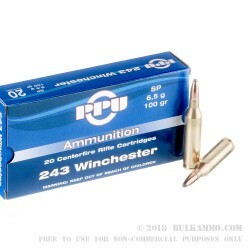 A great value for a box of .243 Winchester, this Prvi Partizan ammunition is easy to justify for your general range work on your beloved bolt action. Basic target practice, sighting in after an optics upgrade or even in the field, as this is a soft point round. Prvi Partizan has built an exceptional reputation for providing high quality reliable military cartridges for many years to thousands of law enforcement and military agencies around the world. 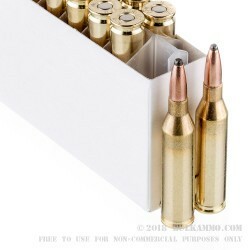 It has been a well-received brand in the United States of late, because it has continually produced high quality ammunition for super low prices in a reloadable, high reliability build. 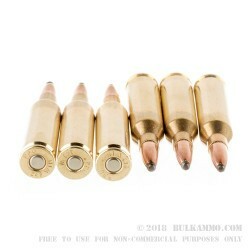 The brass is Boxer primed making it easy to reload; the ignition and feeding is proven, with very few concerns compared to other similarly priced import rounds. Having moved aggressively into the consumer market for hunting calibers, Prvi Partizan has started to grab up more of the market because it offers such high-quality ammunition for such a great price. This .243 Winchester with a 100 grain soft point is no exception. The quality control is exceptional compared to other .243 loads at this price. 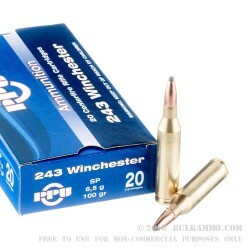 It is suitable for use in any .243 Winchester chambered firearm.